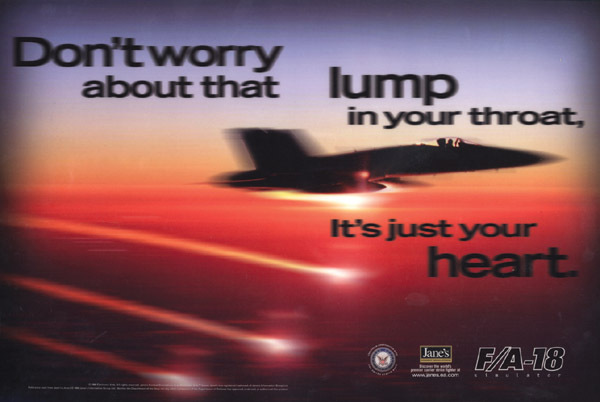 With Electronic Art's F/A-18 essentially re-inventing the flight sim category, needed an ad with a visceral appeal. This one delivers. Title surged in interest, orders and sales. The real U.S. Air Force actually had some people show up.